Have you read the stories about the English couple who were rescued after getting lost in the Pyrenees last month? It was their first day on the Camino, walking from St. Jean Pied-de-Port to Roncevalles over the Napoleon Route (the more popular route over the mountains and into Spain). It’s a strange story: according to this interview, the couple intentionally left the marked trail, thinking they were taking an easier path (if there was an easier path, why wouldn’t everyone be taking it? ), and then…they just kept going. For four days, they wandered the mountains (they were carrying a tent, so had a safe place to sleep) and managed to never see another person. They finally called 112 (the European equivalent of 911), and were found and rescued within an hour. 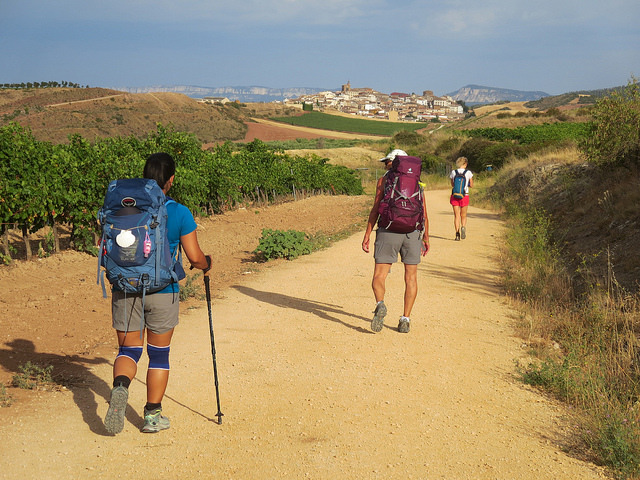 As the story shows, it’s possible to get lost on the Camino. I think most pilgrims have a story about “that time” that they took a wrong turn along the Way. 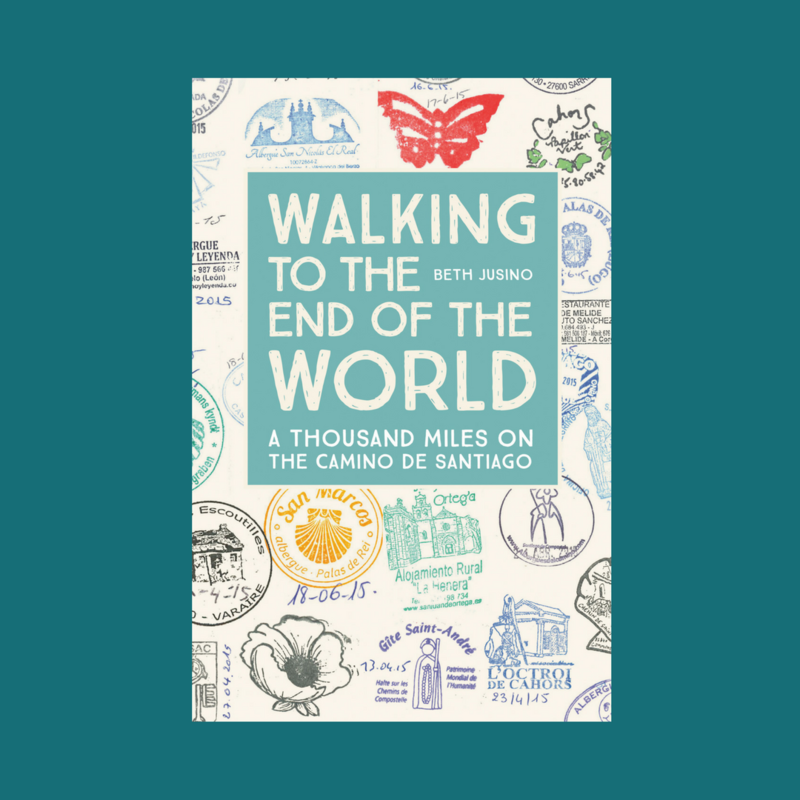 But while getting lost on a wilderness trail like the Appalachian can be deadly, getting turned around on the Camino de Santiago is usually just an inconvenience. The Way of Saint James (the Chemin de Saint Jacques in France, and the Camino de Santiago in Spain) is well-marked and maintained. In France, you follow a system of red-and-white stripes. Two straight bars tell you that you’re going in the right direction. A third bar, making a flag, tells you to turn left or right. A great big X tells if you’re going the wrong direction. They’re painted onto fences, or the backs of signs, on trees, and even on rocks if the ground is flat. They aren’t always easy to spot—walking the Chemin de Saint Jacques often felt like an epic game of Where’s Waldo—but if you pay attention you’ll quickly know if you got off track. The red-and-white stripes of the GR65, the Chemin de Saint Jacques, in France. Eric and I only seriously lost the trail once, in our first week of walking and the last few kilometers of a long and painful day. We hadn’t seen another human being for a while, and I was desperate for a distraction from my aching feet when a young woman with a backpack came striding out of what was clearly a driveway. “That’s not the way,” she called cheerily, in English. She told us she’d taken the wrong turn and found herself, awkwardly, standing in a barnyard. She mistook a driveway for the Camino. I should have paid more attention to that. Ten minutes later, we reached a dead end in the road. There were still no trail markers to tell us which way to turn, and the guidebook didn’t mention a dead end. We looked across a valley, with a river far below. It was lovely, but there was no sign of a town, or a road, or any civilization. We were definitely lost, and this didn’t feel like the Camino anymore. We dithered around, aching and tired, but in the end we had no choice but to turn and trudge, silently this time, at least three kilometers back up the long hill we’d just descended, to a junction we’d missed. And there, clear as day, was the red-and-white paint, showing where we should have turned off the road and onto a smaller footpath through the grass. Lesson learned: pay attention. If you don’t see the markers, stop right away. Backtrack to the last place you know you were going the right way. In Spain, the Way is marked with a mixture of yellow arrows, scallop shells, and municipal signs. Each region of Spain is responsible for their own trail markings, so things vary from place to place. Sometimes there are concrete bollards, and sometimes there are painted arrows, seemingly hastily scrawled. They’re almost always yellow. See the yellow just past the Knight Templar? But yes, you can lose track of the Camino even along the “crowded” Caminos. We met a Canadian woman who’d taken a wrong turn on her first day of walking, also on the Napoleon Route over the mountains. She’d climbed ten strenuous kilometers, but then after taking a break near the Vierge d’Orrisson, she took a farm road that took her back downhill…the way she’d come…still in France. After a couple of hours of walking down a suspiciously empty road (there had been a crowd around her when she left St. Jean Pied-de-Port) she found herself in a small village that the locals assured her (in French) was definitely NOT part of the Camino. Lesson learned: if it seems like you’re off track, stop and ask. The locals probably know exactly where the trail is, and are generally happy to send you back there. And watch the crowd; if you’ve been surrounded by pilgrims all day and now there’s no one in sight, backtrack. When in doubt, follow the crowd. Getting lost is frustrating, especially when you’re already tired and don’t want to add more kilometers. But it’s nothing to worry too much about…and it will give you a great story to share with the other pilgrims as you linger over a well-earned vino tinto.